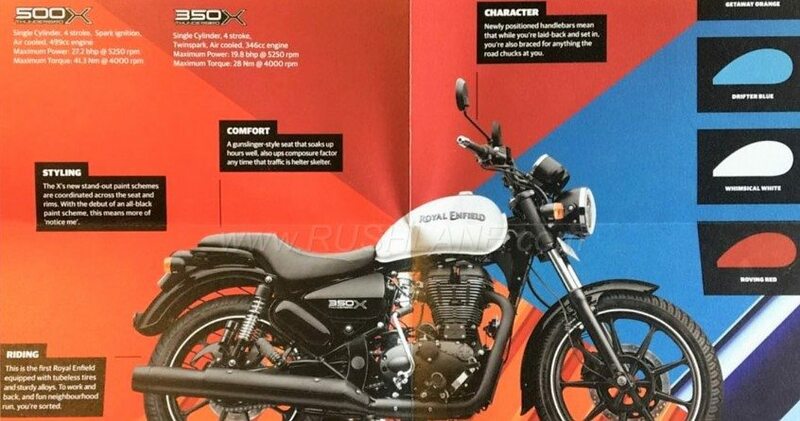 Royal Enfield Thunderbird 350X & 500X Official Brochure Leaked! 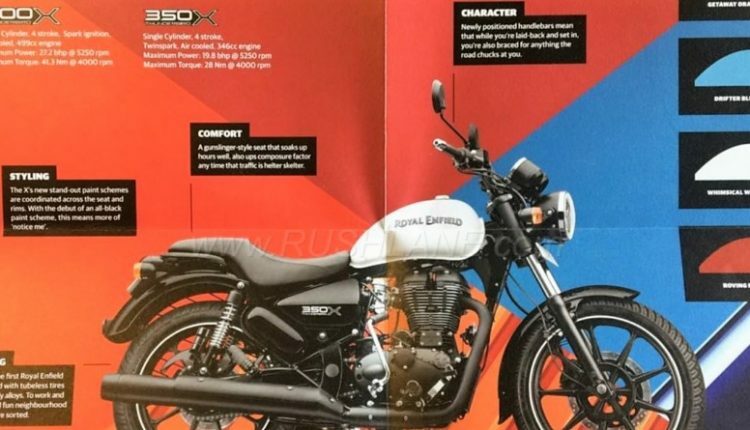 RE Thunderbird X Brochure Leaked – Royal Enfield Thunderbird 350X and 500X were fully revealed recently through leaked brochure images. The launch will take place on Feb 28, 2018. The brochure leak clears that both the models will share the color options namely Getaway Orange, Drifter Blue, Whimsical White and Roving Red. For once, if you ignore the changes made with these shades, newly introduced handlebar setting will help you get the typical street bike feel out of Thunderbird 350X and 500X. The seat is all-new as buyers won’t get that rear support equipped one on X series. Above all, it comes with tubeless tyres for the first time. 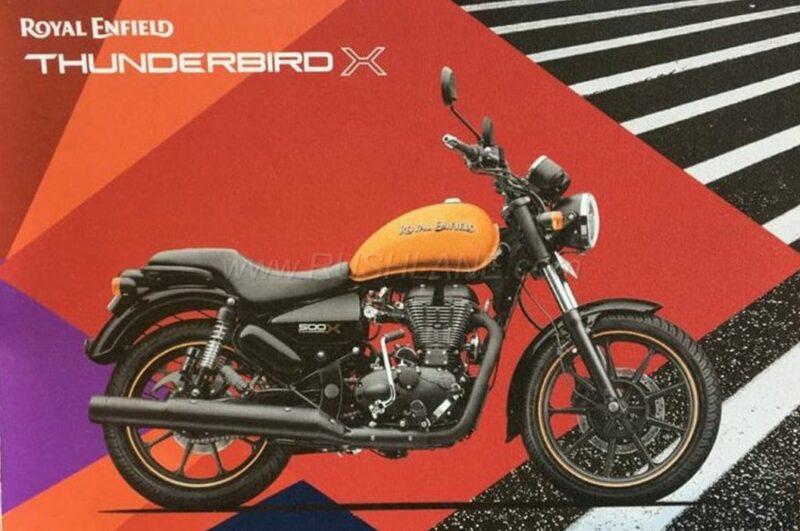 Royal Enfield Thunderbird X Official Brochure Leaked! Alloy wheels helped Royal Enfield make this the first bike to have this added safety feature. The exhaust is now finished in matte black for a great contrast with all four vibrant shades. Apart from these changes everything else stays the same as standard Thunderbird 350 and 500. Front gets 41mm telescopic forks, projector studded round headlight and 9-spoke alloy wheel. Twin pod console stays the same as regular Thunderbird while color scheme of most components has reversed to match the vibrant fuel tank shades. 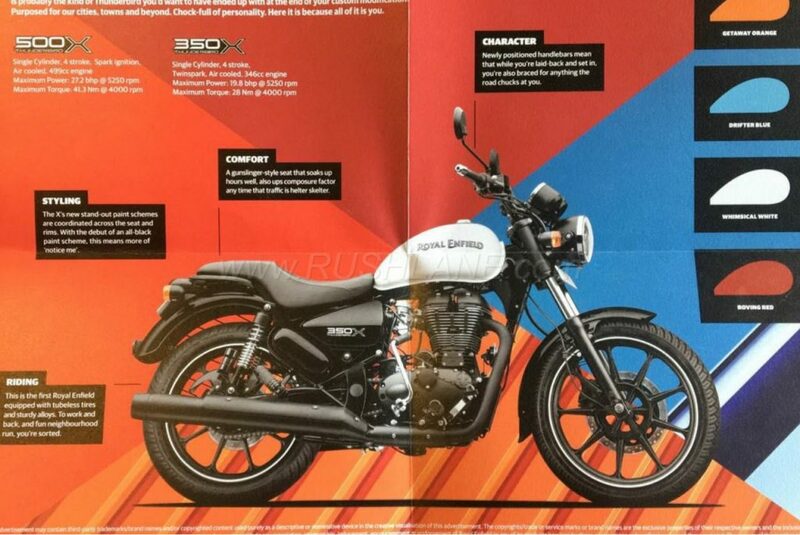 The reports claiming different shade options for both engines were proved wrong by this clear brochure image with all four shades. Thunderbird 350X is powered by 346cc, air cooled engine producing 19.8 BHP at 5250 rpm and 28 Nm at 4000 rpm. The engine comes mated to a 5-speed gearbox. On the other hand, Thunderbird 500X is powered by a 499cc, air cooled, fuel injected engine producing 27.2 BHP at 5250 rpm and 41.3 Nm at 4000 rpm. Both the engines are torque rich units that help riders carry heavy weights on higher altitudes with much more ease than a regular bike. The pricing was not leaked in this report but one can expect a marginal increase due to switching of equipment.